Last November Glenbrook replaced our furnace and did a great job. This week they finished the job by adding a new A/C. Dominick did a great job, he explained what he was doing and why. The job was completed quickly, and was well done. Just in time for summer. Thanks to you all for years of excellent work. Top notch company - the technicians are just outstanding! Dom was courteous and helpful with our issue. We appreciate the prompt service today. Our furnace went out this morning and we have heat again by this afternoon! Excellent service. On time and thorough. Thx. Dom came yesterday for our furnace tune up, did a wonderful job as usual. 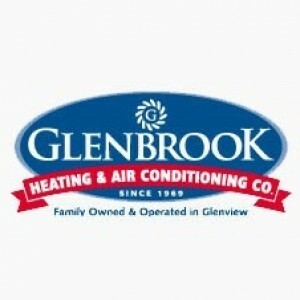 Have used Glenbrook Heating and Air Conditioning for 40 years for all our our heating and cooling needs, great company. Always on time pleasant, knowledgeable, efficient, and then on their way. I have been a customer for many years. Great service, great techs, efficient, reliable! 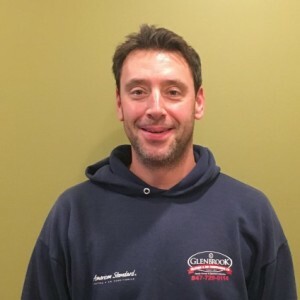 The folks at Glenbrook Heating and Air are friendly, knowledgeable, and responsive. Today, our technician, Dominic, spent a good deal of time explaining the issue with our furnace and going over options moving forward. Called at 4:30 on a Saturday when heat went out. Dominick was at our home within 45 minutes and got us up and running. Great service! Thanks, Brad, for the excellent installation of our Zoeller sump pump! We appreciate your quick response to replace our failed pump, neat and correct installation plus cleanup after the job. 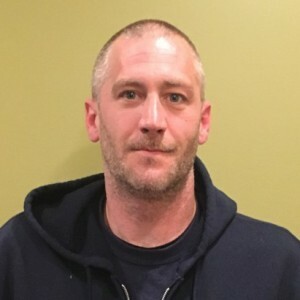 As happy customers of your HVAC work, we look forward to working with you for sump pumps. Well done, as always. On a very cold Nov. 26th, after 8” of snow our heat went out. I called Glenbrook mid-afternoon expecting at least one day delay. The technician arrived 25 minutes later. He found the problem quickly, replaced the thermostat and tested the system. 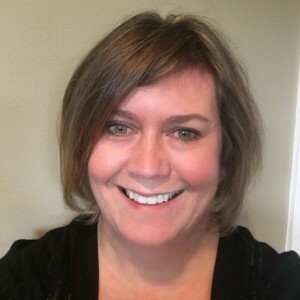 Very good knowledge, answered all questions, and very easy to deal with. Have used Glenbrook for years, always solves the problem. Dominic did a great job. Glenbrook Heating and Air conditioning is excellent they always do a great job whatever is needed. Dominic did an excellent thorough job. Great, he arrived right on time, explained everything to me and left everything clean.